A modular building construction incorporating full flexibility of services design to suit a range of potential clients designed to meet stringent project deadlines. 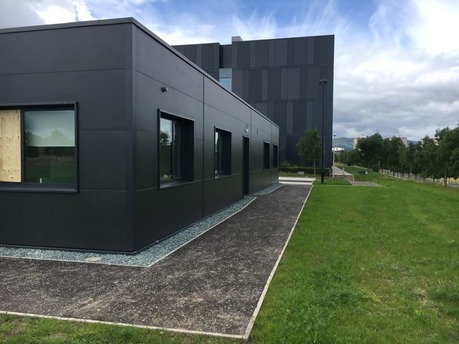 The development of Phase 1 of Plot 10 at the Bioquarter includes a 600m2 modular building, fully fitted out for a life sciences tenant. The design includes for fully autonomous mechanical and electrical systems for the ground floor area, but with the additional capacity to allow for the future installation of an additional floor. The services have been designed to maintain a flexible installation from the outset with perimeter radiators providing the heating solution. The building is fully mechanically ventilated allowing the cellularisation of internal spaces for staff areas. All electrical services have been accommodated within a very shallow floor void which has provided the flexibility of a raised floor solution without compromising the floor to ceiling heights of the building. 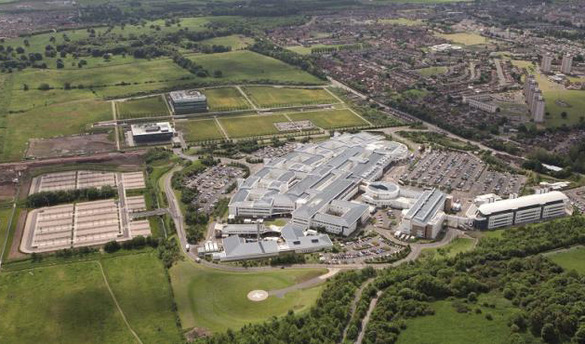 The services design has been considered in order to meet a challenging construction programme to ensure the building can be completed for occupation early in 2016.